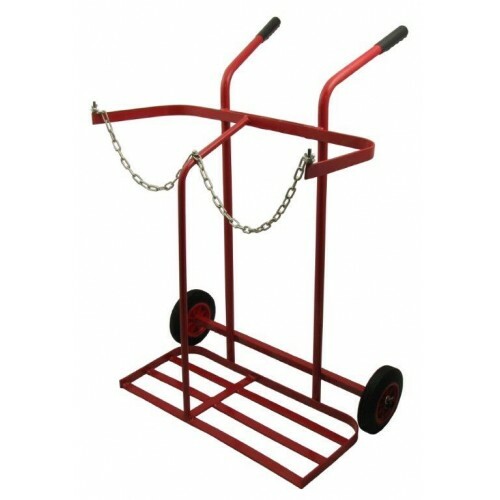 Twin cylinder trolleys with solid tyre wheels, of a robust, fully welded construction. Versions available to support oxygen/propane (base measures 690mm x 310mm x 850mm. Chain and rubber grips.